You spend a lot of time caring for your yard and making sure it always looks its best. All those hours of landscaping have paid off, and now you want to enjoy the fruits of your labor in your beautifully designed yard. The problem? Your pet. From dogs that dig to kittens that nibble, it can be all too easy for your furry friends to quickly and easily ruin all your hard efforts and cause you a seemingly never-ending stream of repair and maintenance work. The good news is that you can avoid this struggle by following these simple tips and making your yard more pet-friendly. If you have a pet, it’s extremely important that you make sure none of your plants are toxic to them. The ASPCA has a handy list of plants that are safe for animals and ones that should be avoided. Providing plenty of backyard toys is a great way to prevent your dog from turning to your garden for his entertainment. When you play fetch with your pooch, make sure the toys you toss are not potentially damaging missiles headed straight for your plants. Try tennis balls, which you can buy in traditional or smaller sizes. Garden paths should be comfortable to little paws, not too sharp or burning hot. Pea gravel is especially comfortable and still attractive enough to make the cut in your carefully landscaped yard. Make sure that any water you have in your yard is flowing and not stagnant. This ensures that it safe to drink and to swim in. On especially hot days, be sure to have a water bowl full so your pet has plenty of drinking water. Fences can serve several purposes – they can look attractive, define spaces in your yard and keep your pets safe. Not only can a good fence keep them in, it can keep other animals out. You can choose a traditional white-picket style, or try a wireless fence for invisible safety. The options are almost limitless. Dogs will dig: that’s just their nature. Divert them from your prized plants by giving them preferable options, such as a sandy area with hidden toys or a patch of small, round rocks that can be easily reassembled. If you want to prevent your dog from digging the area near your fence, you can include some river rocks. You can mix them with concrete or place a chicken fence beneath you’re your rocks. River rocks are only suitable and inexpensive if you leave near a river otherwise the chicken fence option may be the most suitable. When it comes to mulching, choose small cedar chips. They don’t have sharp edges that can hurt paw pads, and they are easy to remove from fur. Edging not only looks great, but it also gives your pet a line of distinction between what parts of your yard are OK to explore and what is off limits. Dogs can easily be clicker-trained to avoid these areas. 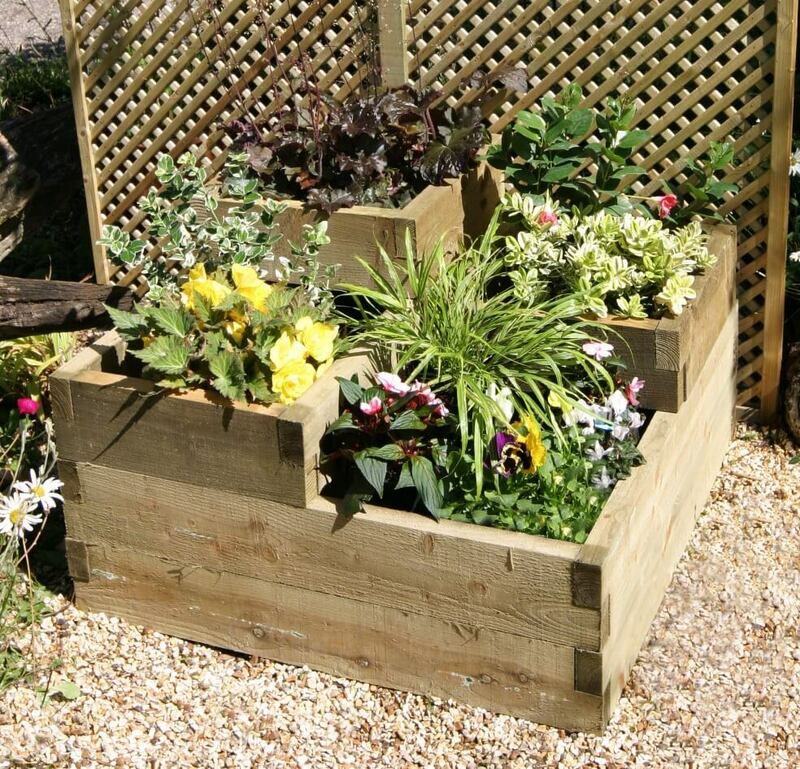 Or, solve the problem entirely and elevate your garden with raised beds. Make sure that the pesticides that you use are natural and safe for animals. Chemical treatments can seriously harm your pet if ingested. There’s no need to use harsh chemicals when there are so many safe options on the market, and even recipes you can make yourself. All that playing and prowling is hard work, and pets can easily get overheated on a hot day. Be sure they have comfortable, shady areas to lay down and relax. Bonus: if your dog has a safe space where he feels a sense of ownership, he’s less likely to wreak serious havoc on your garden since he already has his own space. With some thought and planning, it is possible to make your yard pet-friendly and safe. It will look just as great, but now it can be enjoyed by all your family members. That’s the best kind of backyard retreat there is. 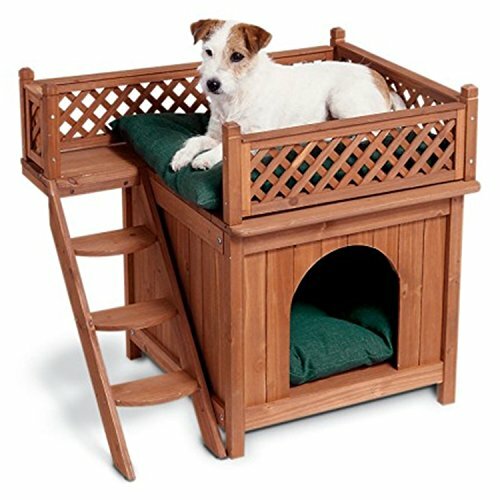 Depending on the temperament of the dog, you can set up designated areas for the dog to rest and view the outside world. You can also add some innovative features such as a balance beam, tunnels, and caves. 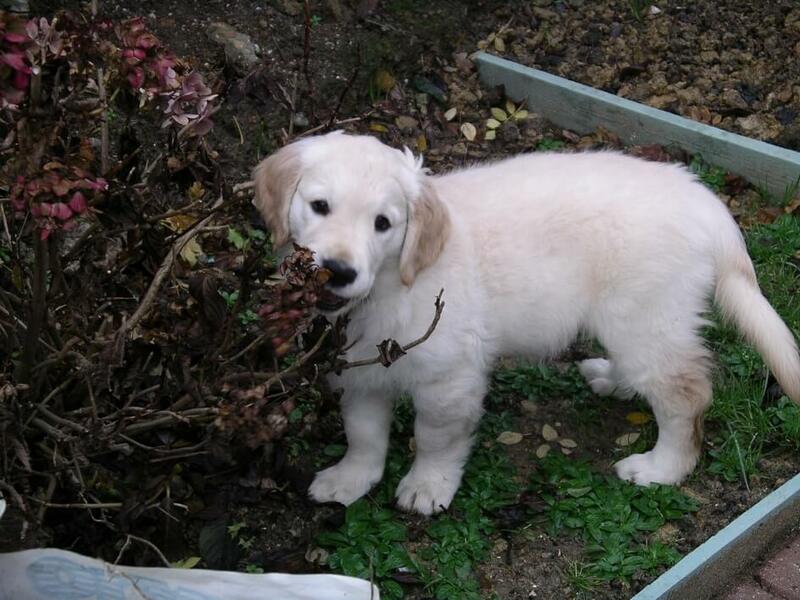 If you have a dog who loves digging, make sure to protect your fence properly. Read more to learn how to stop dogs from digging. There are numerous ideas to make a dog-friendly backyard and creativity is limitless. All you have to do is ensure that while putting up a playground that feels like a home, and prioritizes the safety of the dog by providing effective fences wherever needed. A bridge climb is an excellent playground idea for your dog. You can either construct one or purchase predesigned one. The sole purpose of the bridge climb is to help your dog keep fit. You can walk him up and down the bridge as you bound. A dog walk ramp can set you back to $2,000. This is a tunnel that your dog can go into and come out on the other side. The tunnels come in different dimensions, and the size of your backyard will determine the size that you choose. Some tunnel through has spy holes for lighting and for better supervision of your dog. Most of the tunnel through are made from durable plastic and are easy to clean. 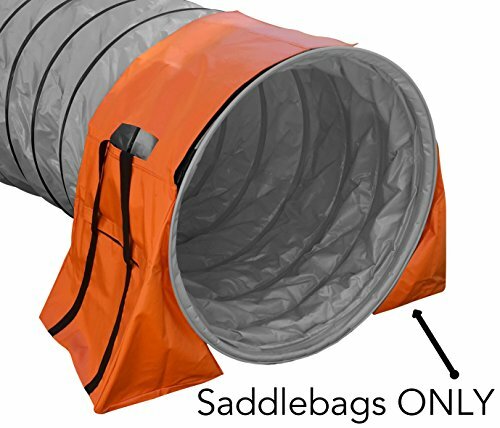 The dog tunnel through go for $30. These all come in different sizes. The purpose of the dog hoops is to enable your dog to jump better. If you are low on funds and have old tires, you can get creative and make hoops for your dog. A basic dog loop on Amazon costs $65. 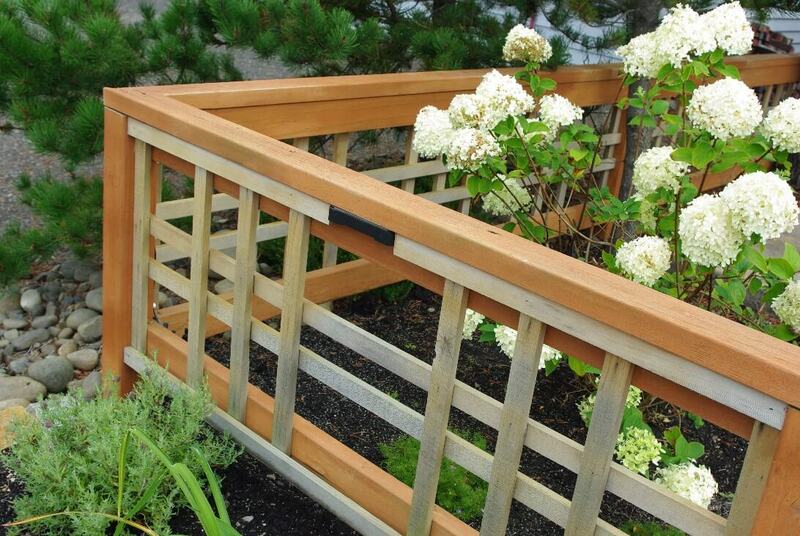 Ramp-up a wood deck – this is a great wooden deck for your puppies and other dogs of all sizes. The ramp for your dog should be around 6-10 inches the longer the length, the less steep it is. You can create a less expensive ramp for less than $30. What you need is a long piece of timber, nails, hammer, and sandpaper. A simple sandbox acts as a good potty area for your dog. You do not need something fancy. Dig a square hole and fill it with sand. You can surround the area with a wire mesh or wood. The sandbox potty area serves two purposes – your dog can use it to hide items, and it prevents your dog from pooping all over the bushes and sidewalks. Sand prices will depend on city prices. Your dog will often be curious especially when they can hear other dogs barking outside. 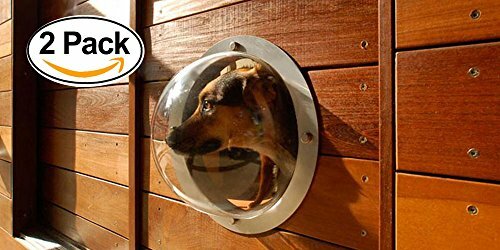 There’s this pekpeek window from Amazon that can be integrated into your wooden fence and will alleviate your dog’s anxiety. The pekpeek window goes for $40 and measures 9.5 inches in diameter. It is easy to clean and will deter your dog from jumping over. Advancement in technology enables homeowners to build doggy doors in any part of the home so that the dog can independently venture in and out of the house to the backyard. You can also equip the pet doors with microchips that can connect to the wireless fencing, giving the owner a sense of security while providing safety and freedom to the dog. By Kate Wilson and Deinah Storm.